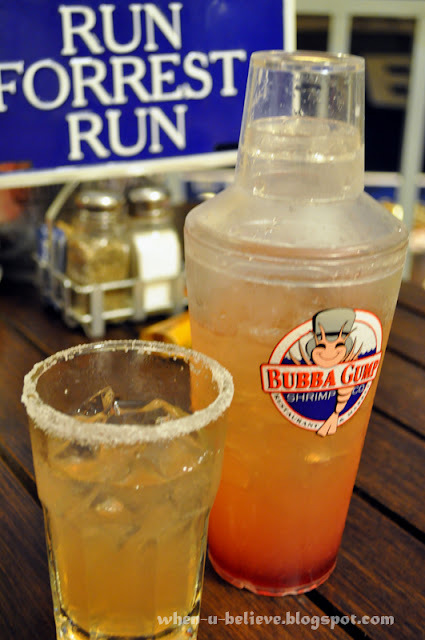 Our first dining experience in Bubba Gump Shrimp was last year. Great ambiance, good service and food were words to describe our gastronomical feast. Hence, we decided to celebrate the new year in Bubba Gump Shrimp.That day was crowded. The restaurant was fully booked. Luckily we arrived early, we were placed on a waiting list but got our seat after a 15 minutes wait. The inside was full, so this time we sat outside. At the top floor, we enjoyed the soft and relaxing jazz music from ground floor. Something that we must not missed are the their restaurant specialty - Shrimps!. We ordered a Set Dinner from the Festive Menu. 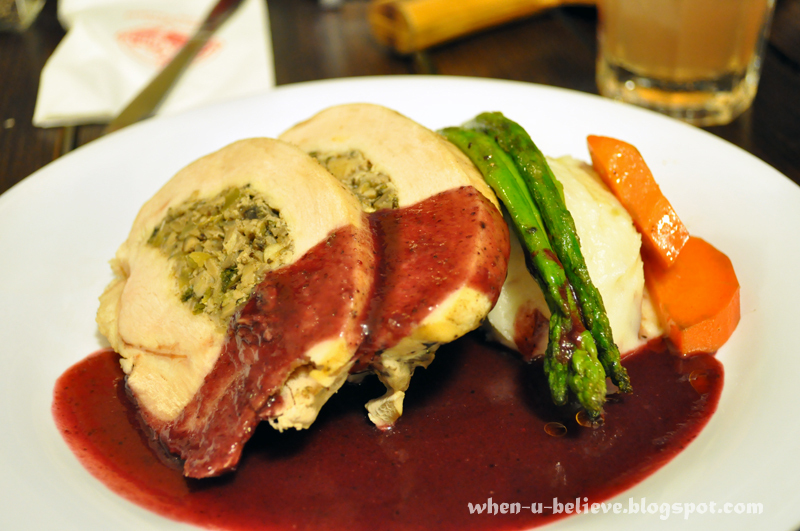 At RM 69.90, it consist of a drink (Naughty and Nice Margarita), starter (Pear and Berry Salad), main course (Roasted Turkey), and dessert (Special Christmas Dessert). We got a few choices combination to choose from. My first taste of Margarita. Served chilled with salt at the brim of the glass. It was awesome! A little sweet and slightly sour at the same time. Pear and Berry Salad - Fresh Greens, Strawberries, Pears, and grazed Pecans tossed in Raspberry Vinagrette. We enjoy our salad very much, especially myself, who's a vege lover. 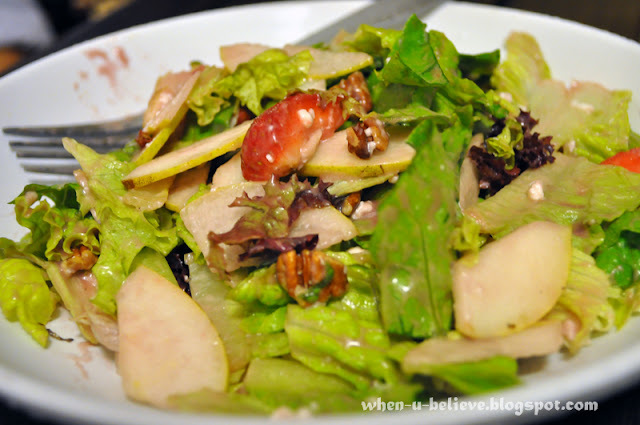 It was really fresh and light, served with delicious salad dressing. The Turkey was okay but we didn't really enjoy the sweet gravy though. By the time the dessert arrive, we were really stuffed already! Hardly enough space for more. 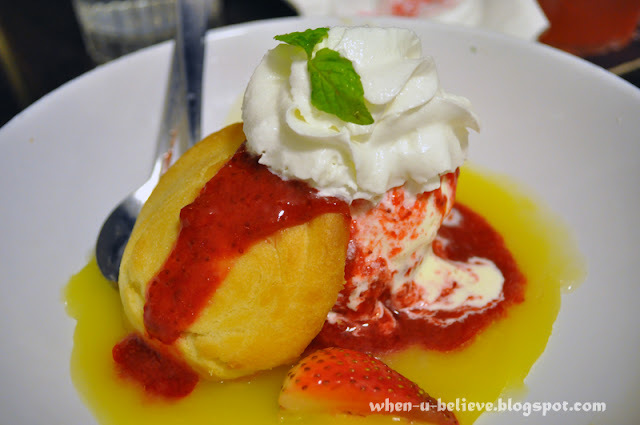 The Special Christmas Dessert served with strawberries, strawberry sauce, cream, ice-cream and pastry. "......Of Course We Have Scampi!" 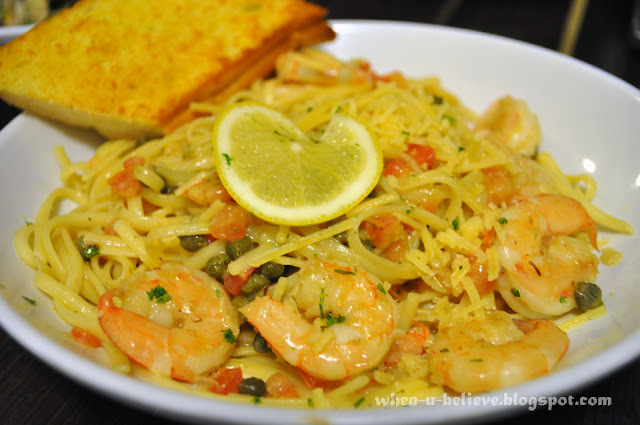 RM 31.90 - Tender Shrimp Sautéed with capers in lemon - Garlic Butter served over a bed of Linguini. *Based on Personal Opinion, the author did not received any form of monetary or non-monetary compensation. Loved the movie but I haven't been to a Bubba Gump myself. My hubby visited the one in Bali several times. Your captures certainly make me want to give it a try! Wow, your food photography improving by the day. These pictgures makes my mouth water! The Shrimp Scampi look absolutely delish!!! Autumn Belle: Thanks for submitting my links. i love it there except that it is quite pricey hehe Btw, I have an ON-GOING giveaway... Hope you can join. Thanks! Wondrous Mille Crepe at Nadeje Café Sdn. Bhd.